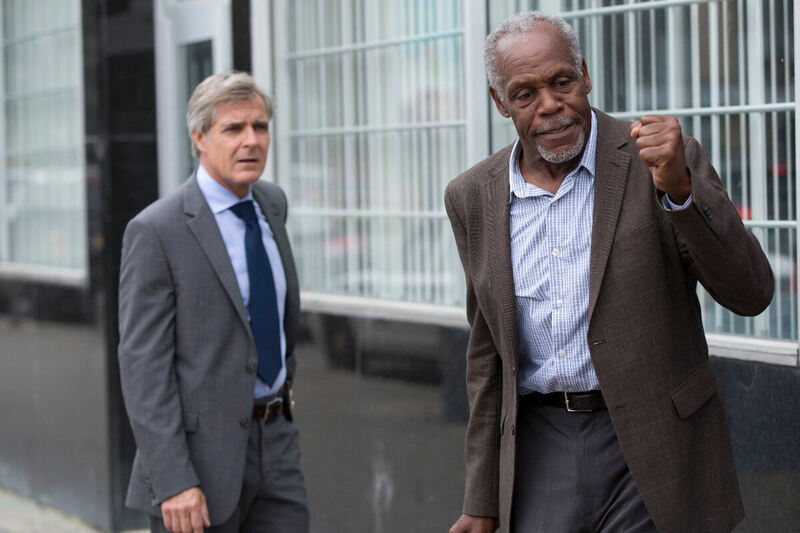 The Richmond International Film Festival (RIFF) will feature several renowned special guests, including actor, producer and humanitarian, Danny Glover. Glover stars in the festival’s 2018 Closing Night film, Buckout Road, a horror thriller directed by Matthew Currie Holmes. The film also stars Henry Czerny, Evan Ross, and Dominque Provost-Chalkey. A special discussion will take place with Glover directly following the film’s screening which will be Sunday, April 29th at 5:15pm at the Byrd Theatre. Glover will also be presented with RIFF’s 2018 Legacy Award. The 2018 festival will also welcome special guest Lee Aronsohn. Aronsohn is one of America’s most successful television writers and producers. He co-created the sitcom Two and a Half Men and wrote the original music for the series. Aronsohn also served as an executive producer, writer and director for The Big Bang Theory and has written for many other notable television shows, including The Love Boat, Who’s the Boss?, Murphy Brown, Grace Under Fire and Cybill. On Thursday, April 26th at Bowtie Movieland from 6:30-8pm, Aronsohn will present his feature documentary film, 40 Years in the Making: The Magic Music Band. This will be followed by a discussion with the filmmaker about his experience making the film, his music and television background and a discussion on how the film and television industries have evolved into what they are today. The Colorado-based legends, Magic Music Band, was started in 1969 and is dubbed as the state’s first “jam band.” Hailing from various cities around the United States, the group began as a merry troop of renegades whose brotherhood was eternally forged in the music they made that spread throughout the country. RIFF patrons are invited to wear 1970’s hippie attire to the film’s screening in celebration of the band and the unforgettable magic they brought to the 1970’s era. RIFF brings London-based live music collective Ibibio Sound Machine to Richmond, Virginia in honor of the festival’s spirit to celebrate diverse perspectives, cultures and international music. The group will be performing at The National on Thursday, April 26th at 7:30pm with Rodney the Soul Singer Stith to open. Ibibio Sound Machine was started by producers Max Grunhard, Leon Brichard and Benji Bouton, who were all enthusiasts of African grooves from the 1970s and ’80s. This trio began creating drum’n’bass tracks around the voice of the electrifying frontwoman Eno Williams. Their sound is inspired in equal measure by the golden era of West African funk and disco, post-punk, and modern electro.